A Team of Pokémon-GX Working Together! A TAG TEAM can be stronger than a Pokémon battling solo! Eevee & Snorlax-GX are the stars of this Pokémon Trading Card Game: TAG TEAM Tin. Each tin contains an amazing pair of Pokémon who work together perfectly as a team—with a GX attack that can leave opponents in the dust! 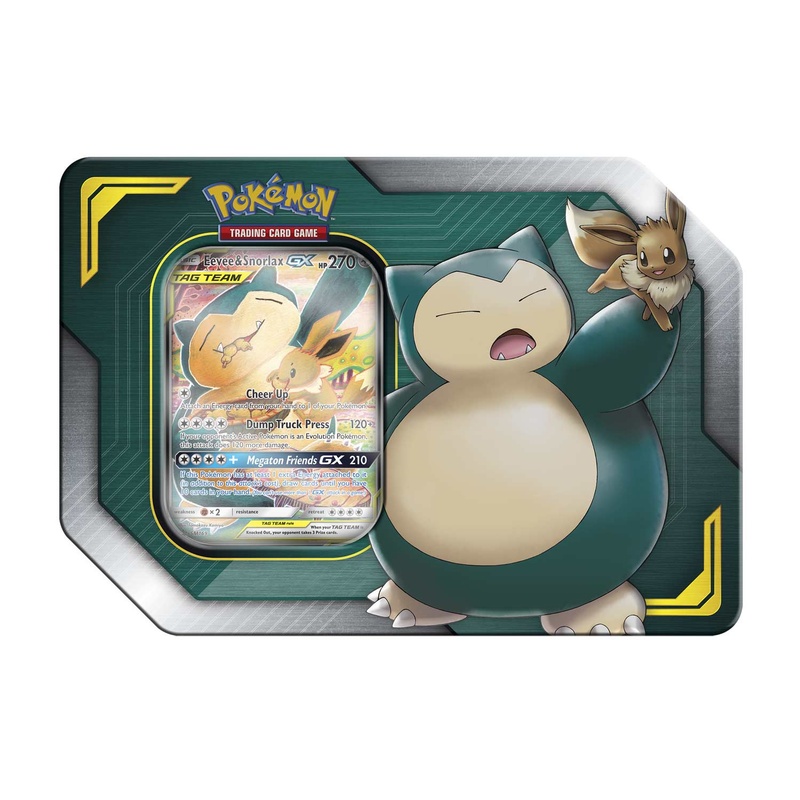 In this tin, you'll find: 1 foil TAG TEAM Pokémon-GX with special art (Eevee & Snorlax-GX) 4 Pokémon TCG booster packs (Each Sun & Moon Series booster pack contains 10 cards and 1 basic Energy. Each XY Series booster pack includes 10 cards.) 1 metal TAG TEAM GX marker A code card to unlock a playable deck in the Pokémon Trading Card Game Online Cards vary by pack. A Team of Pokémon-GX Working Together! A TAG TEAM can be stronger than a Pokémon battling solo! 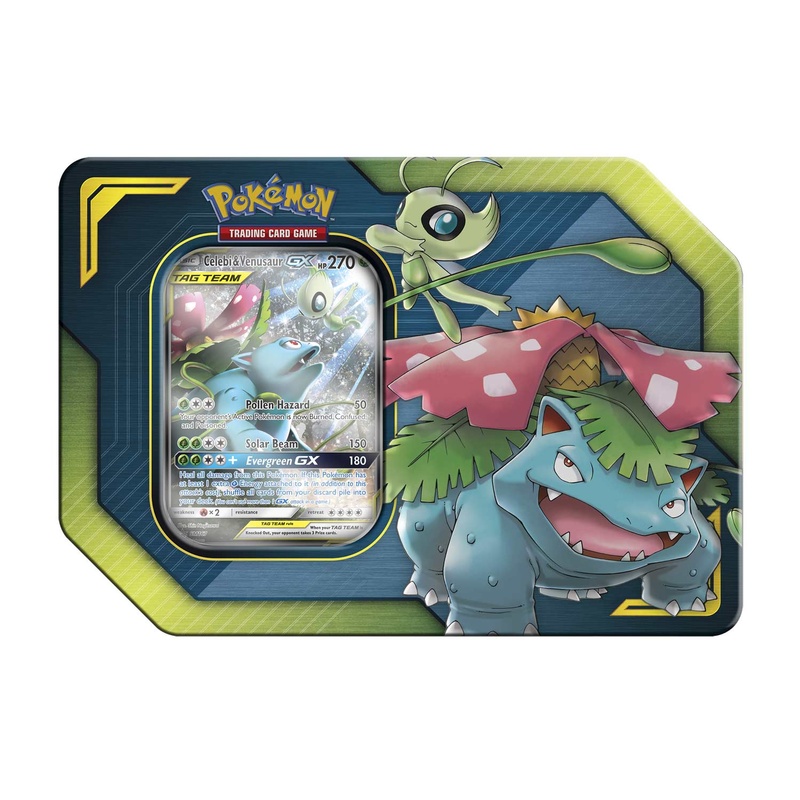 Celebi & Venusaur-GX are the stars of this Pokémon Trading Card Game: TAG TEAM Tin. Each tin contains an amazing pair of Pokémon who work together perfectly as a team—with a GX attack that can leave opponents in the dust! 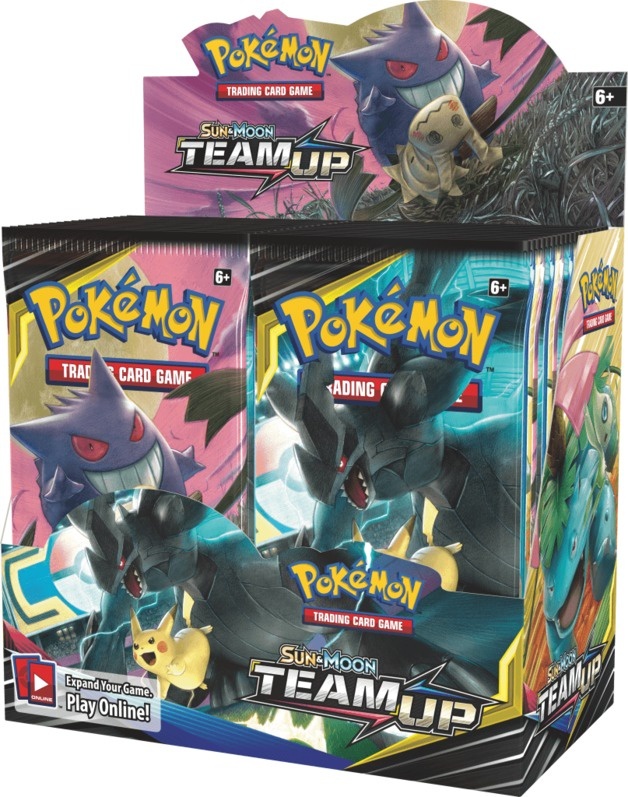 In this tin, you'll find: 1 foil TAG TEAM Pokémon-GX with special art (Celebi & Venusaur-GX) 4 Pokémon TCG booster packs (Each Sun & Moon Series booster pack contains 10 cards and 1 basic Energy. Each XY Series booster pack includes 10 cards.) 1 metal TAG TEAM GX marker A code card to unlock a playable deck in the Pokémon Trading Card Game Online Cards vary by pack. A Team of Pokémon-GX Working Together! A TAG TEAM can be stronger than a Pokémon battling solo! 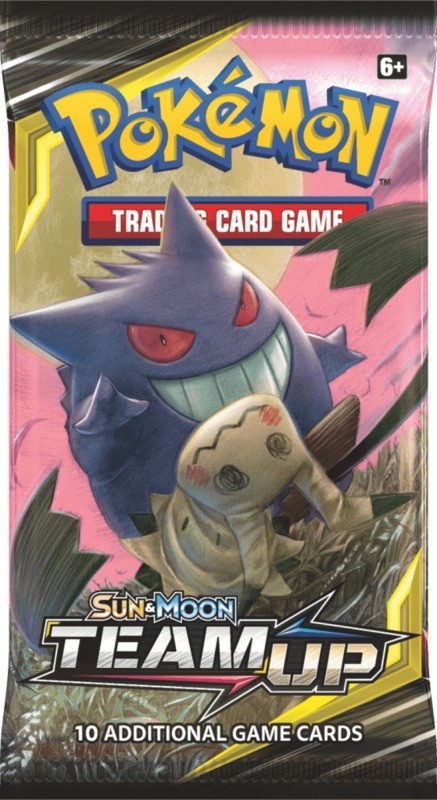 Pikachu & Zekrom-GX are the stars of this Pokémon Trading Card Game: TAG TEAM Tin. Each tin contains an amazing pair of Pokémon who work together perfectly as a team—with a GX attack that can leave opponents in the dust! 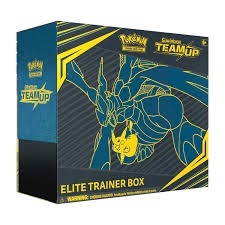 In this tin, you'll find: 1 foil TAG TEAM Pokémon-GX with special art (Pikachu & Zekrom-GX) 4 Pokémon TCG booster packs (Each Sun & Moon Series booster pack contains 10 cards and 1 basic Energy. Each XY Series booster pack includes 10 cards.) 1 metal TAG TEAM GX marker A code card to unlock a playable deck in the Pokémon Trading Card Game Online Cards vary by pack. 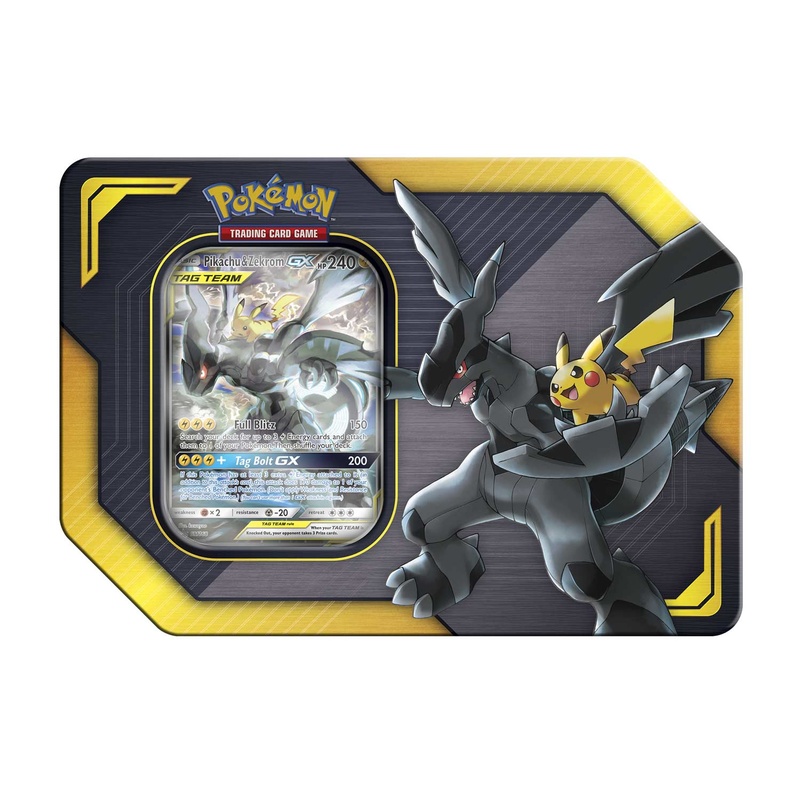 60 Pokémon card deck 1 card checklist 1 metallic coin 2-player playmat and rulesheet 1 code card to play this deck online 1 deck box Damage counters Coin may vary by product.